Clustox Client Reviews, Rating and Analysis Report. 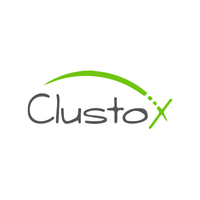 Clustox is a technology company with a proven track record of producing high-performance mobility solutions and portal applications We develop and maintain web and mobile applications for startups, agencies and tech teams. We specialize in top-tier development using Ruby on Rails, iOS, Android, Angular, ReactJS & React Native. Bookafy is online appointment scheduling made easy... built for sales professionals, service based businesses and support teams. We have a small team in Seattle, WA that is working hard to bring the best scheduling software on the planet to companies big and small around the world.